SUPPORT AND RESIST: STRUCTURAL ENGINEERS AND DESIGN INNOVATION by Nina Rappaport published by The Monacelli Press, New York. Support and Resist: Structural Engineers and Design Innovation, is the first book to focus on the revolution in engineering culture in which structure is at the forefront of design. 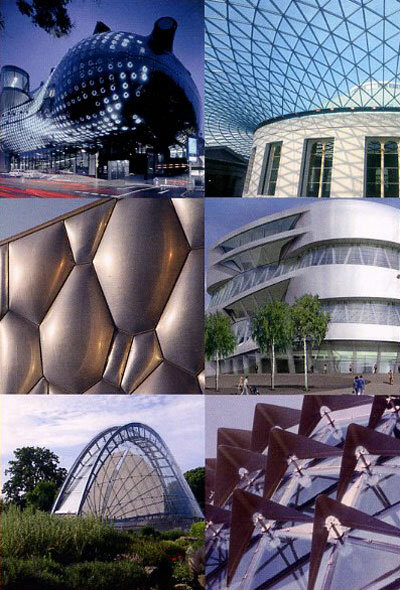 As architectural projects have become increasingly complex, as materials have become more dynamic, as the computer has become a widespread tool, the collaborative partnership of architects and structural engineers has gained prominence. Support and Resist features profiles of fourteen innovative international engineers and over thirty building case studies. By foregrounding structure as an integrated aspect of design, the book emphasizes work of those engineers who are involved at the outset of a design project. These creative engineers are shifting the design focus to structures, thus inspiring a new culture of engineering. Today integration of design and structure moves beyond efficiency and economy of form, enabling a new shaping of space. Engineers are not just calculating stresses and following existing codes, but designing structures that relate to building performance with a new freedom in form-finding that often leads to unexplored physical territories. Support and Resist presents investigations of structures, with firm profiles of engineers including Arup, Buro Happold, Atelier One, Guy Nordenson, Sasaki, Jane Wernick, and over two hundred images: sketches, technical drawings, and rarely published construction photographs, as well as striking views of completed projects. "Rappaport manages to cut through the so-called sibling rivalry. She tells the story of engineering as an inherently collaborative enterprise and one that engages design at its most intrinsic levels of disciplinary knowledge." "Nina Rappaport's splendid new book, Support and Resist, reveals the underlying force in so much high-visibility recent architecture, especially for large-scale buildings...Rappaport's illustrations are stunning, revealing the process alongside the magnificent realizations. This book helps reconfigure our understanding of innovative modern architecture in the past and in the 21st century." -Gwendolyn Wright, Professor of Architecture, Planning and Preservation at Columbia University.